Women Ethnic Maxi dress, hand block printed. Easto Garments started their manufacturing from 2010 as a leading leather garment and accessories manufacturer and doing some great business promotion with India based buying houses. 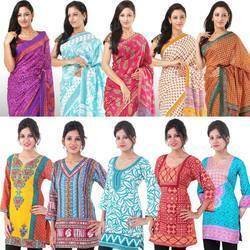 Now the company need to spread the “Looking Gorgeous theme to this womanized world of fashion.